WHAT: The premiere of the new Telemundo Premium Series™ “Falco,” a crime drama about Alejandro Falco, a young and promising homicide detective, married with a newborn girl. During a hectic chase, he is shot in the head and goes into a coma. He wakes up 23 years later to find his wife is married to another man and his daughter is a grown up woman. The world around him has changed. He has no idea how to use the internet, never heard of cell phones and the rock music he used to enjoy is now considered “classic.” Falco manages to get his old detective job back and begins to solve cases using “old techniques.” He has not lost his detective techniques or his irreverence and has to learn to work with his new partner, to accept her daughter’s boyfriend and even work with his former wife’s new husband, who, to Falco’s misfortune, will prove to be a great professional ally. Both Falco and his team will struggle to adjust to each other as he tries to perform his job while trying to figure out what happened that night, 23 years ago. 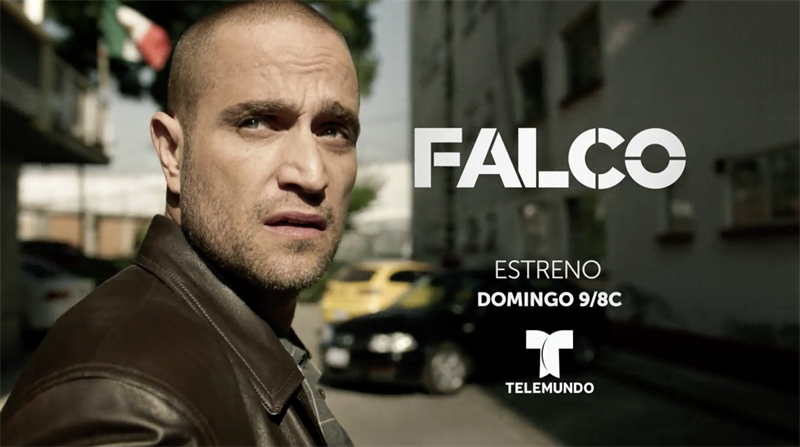 Produced by Spiral International and Dynamo, and under the direction of Ernesto Contreras, winner of 19 awards at international film festivals, "Falco" features renowned actor Michel Brown (La Querida del Centauro and Pasión de Gavilanes), in the role of detective Alejandro Falco. The star-studded cast also includes Hoze Meléndez, Marina de Tavira, Enrique Arreola, Karina Gidi, Danae Reynaud, Mauricio Garcia Lozano, Manuel Poncelis, Juan Carlos Colombo, Fatima Molina and Fatima Molina, among others.